Newly appointed Executive Director of CEWA Dr Debra Sayce says she is looking forward to building on and strengthening the values that Catholic education has presented over the many years in WA. Photo: Jamie O’Brien. Auxiliary Bishop Donald Sproxton officially announced the appointment in a letter dated 10 September. “Debra Sayce has more than 13 years of system leadership experience in CEWA,” Bishop Sproxton wrote. 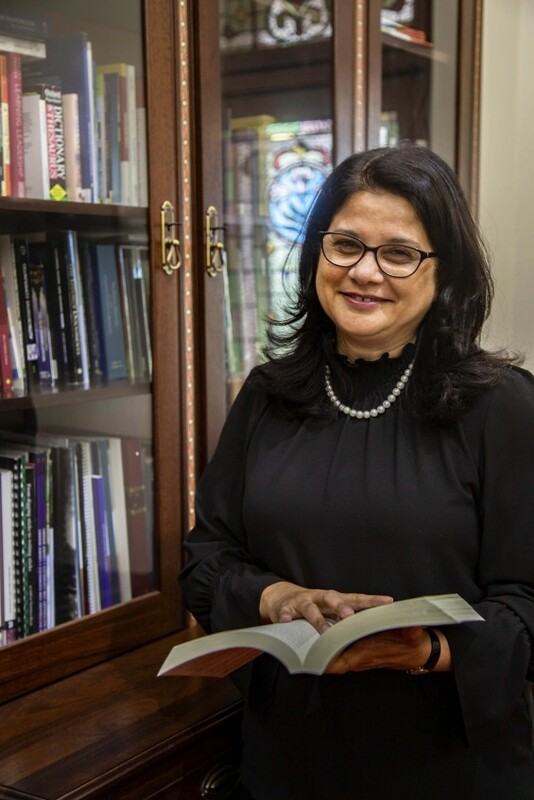 As the current Acting Executive Director since October 2017, Dr Sayce has also been Director of Religious Education, a position she held from 2009, except for a 12-month period during which she was Principal of La Salle College. Dr Sayce will commence her new position on 1 January 2019. “I’m coming into the role with my eyes open, knowing that I am working with incredibly talented and faithful people,” Dr Sayce said, in an exclusive interview with Communications Manager and The Record Editor Jamie O’Brien. Bishop Sproxton expressed his confidence in Dr Sayce. “With a strong commitment to her Catholic faith, Debra is an active member of her parish. “Her commitment to the mission of the Church is also represented by her membership of the Australian Catholic Disability Council, Plenary Council 2020 Executive Council and Caritas,” he continued. Newly appointed Executive Director of CEWA Dr Debra Sayce has also been Director of Religious Education, a position she held from 2009. Photo: Ron Tan. Dr Sayce told The Record she is keen and ready to hit the ground running with a new strategic direction. The Catholic Education Commission of WA’s new strategic direction which will be launched later this year for implementation between 2019 and 2021, and will focus on four priority areas. 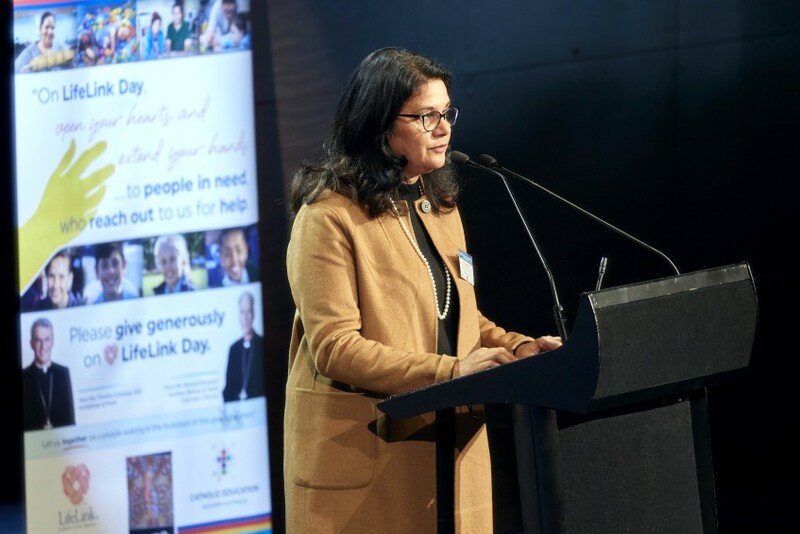 Having spent the majority of her parish life at East Victoria Park, Dr Sayce migrated to Perth with her family from India at the age of five, and says her interest and passion for Catholic education has come from a combination of influences. “My role is to ensure that Catholic education enacts the four focus areas we are planning to launch,” Dr Sayce explained. “Focussing on the Catholic schools of excellence in providing effective, contemporary pedagogy and mission inspired practice and outreach, pastoral communities of well-being and safety for students and staff, providing an affordable and accessible environment with a strong Catholic context, and most importantly helping our schools to be Christ centred and student focussed,” she said. Dr Sayce noted that one example of how she intends to support this approach is to further strengthening leadership development and formation. “I very much believe in growing their [emerging leaders] capacity to respond in a changing context,” Dr Sayce said. Having started her career in Catholic education as a teacher at La Salle College, Dr Sayce has had a varied educational experience. She says it was when she began her teaching career at an independent school that she came to understand the meaning of teaching as a vocation. “Those formative years were extraordinary because I was given positive experiences of coming to understand the vocation of teaching,” Dr Sayce recalled. Dr Sayce also paid tribute to the inspiring leaders she has worked with over many years and was impressed with the manner in which they gave witness to the faith. She also attributed much of her educational journey to other experiences, including two Camino pilgrimages in Spain. “I’m excited about continuing to support parents as partners in the journey of catholic education, because parents are the first educators of their children in faith and in life,” Dr Sayce said. “CEWA supports the whole process of education, formation and learning, endeavouring to be Christ centred communities in a secular world. “The world needs Catholic education”. “A Catholic education that enables each young person to find their God given talents and understand there can be an alternative choice in this increasingly secularised world. “And that other choice is a relationship with Jesus,” Dr Sayce concluded.